Does the idea of using medical marijuana to treat asthma symptoms leave you scratching your head? Due to the fact that the most popular method of recreationally consuming cannabis is smoking, it may seem like an unlikely medical treatment for a respiratory condition. Any doctor will tell you that smoking cigarettes is not a good idea for asthma sufferers (or for anyone, really), but evidence is showing that cannabis may have beneficial effects for those with asthma or other respiratory conditions—even when smoked. Even doctors have been surprised to see their patients get almost immediate relief from asthma attacks after smoking cannabis. 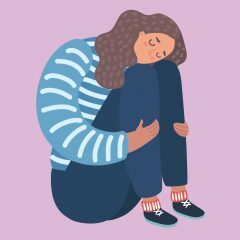 The response can be as effective as the most commonly prescribed inhalers, but without the complications of corticosteroids, which can include high blood pressure, anxiety, and depression among other severe side effects. So what’s the asthma patient who wants a steroid-free treatment option to do? For one, you can cut out the smoke. 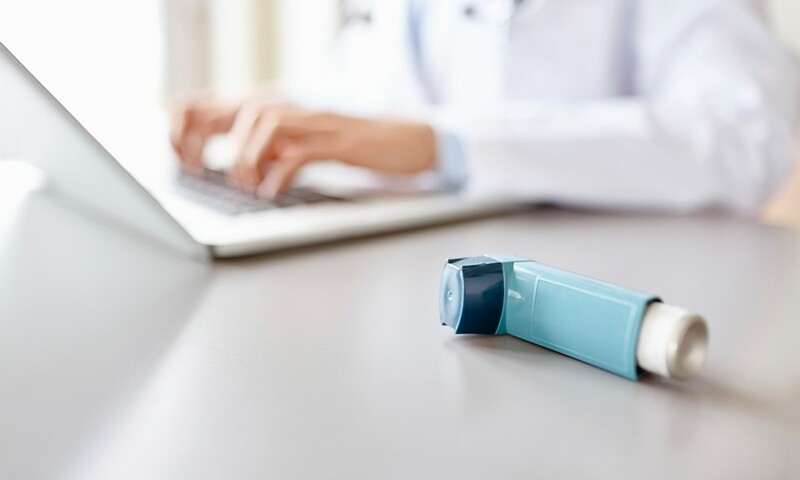 The most common pharmaceutical method of treating asthma attacks is through the use of corticosteroids delivered through inhalers that vaporize the medication. Asthma patients may also be familiar with a nebulizer, which is a tabletop machine that does the same thing. Sound familiar? Cannabis vaporizers have been improving in quality and growing in popularity. Some are sleek and pocketable for treatment on the go and are generally considered to be a safer alternative to smoking. When THC is delivered through a vaporizer, it still has the almost immediate bronchial dilation effects without the harmful smoke. Vaporizing cannabis isn’t really all that different from the current accepted treatments, just with what may be a more effective drug. With THC and CBD increasingly showing their clout as anti-inflammatories, it remains to be been seen if long-term use of cannabinoids can help improve asthma over time, not just treat the attacks. Hopefully, growth in the acceptance and use of medical cannabis will lead to some more in-depth studies on how it can help asthma patients breathe easier. Is an asthma sufferer, I have to agree with this article in its entirety. I suffered from severe asthma attacks (almost died 4 times) as a child and was hospitalized over 2 dozen times before the age of 4. I had a “rebellious” older sister and she started me smoking pot at 14 and … low and behold, I found perfect health. My chubby, active-less childhood was replaced by an active, slender teen with no asthma symptoms whatsoever. I no longer use cannabis but have considered starting again seeing that I live in a state where it is legal because I have started to come down with symptoms of IBS and other chronic inflammatory illnesses. Perhaps it will take me back to optimal health as it did in my youth. Thank you for sharing. I’m an asthma sufferer too. We have almost the same history. I’m 46 years old now and I have too much damage , I have to use Advair 250/50 daily. I just started using Cannabis a month ago, I vape once a day and I already notice some improvements. I’m doing a lot of research and I will really appreciate any information, please feel free to inbox me with any. Again Thank you. try eating it just a small amount works very quickly, no problems with the smoke. Did you smoke blunts or papers? I am currently on a corticosteroid for long term control of acute asthma attacks, but I do not want to stay on this medication because of its detrimental side effects. I am very interested in cannabis and the studies that have been done in the treatment of asthma. As I am a nonsmoker, I would like to learn all I can about vaporizing. Anyone have suggestions as to good sources? hey, you can buy snoopdog vaporizer, the room is hot enough to activate the cannabinoids but not to burn so its better. This seemed so ridiculous to me, till one day I was struggling to breathe, something that happens at least once a day to varying degrees because of my asthma, I decided to smoke, i coughed a little but after it was immediate relief as if I had used my inhaler. This is something that could save your life if you have asthma or at least get you off drugs with side effects. Did u smoke blunt or paper? The above article states “there is no cure for asthma.” I would refer you to 2 websites: http://www.aarda.org/autoimmune-information/list-of-diseases/ and http://theglutensummit.com. Asthma in the young is one of about 190 gluten induced autoantibody diseases. Go on a gluten free diet and symptoms should abate in about 6 months. Asthma is not a diagnosis; it is a symptom. The physician should pursue the appropriate differential to arrive at a correct diagnosis. Asthma symptoms in the elderly must also include cardiac and pulmonary diseases. The term “Asthma” should really be changed to “Asthma symptoms”. MDs are either ignorant of the extensive effects of gluten or want to go down a more expensive, pharmaceutical route. My wife suffered from explosive diarrhea for over 30 years. 6 gastroenterologist, an internist and a board certified general practitioner failed to make the correct diagnosis. A taxi driver in Wyoming said “Sounds like gluten sensitivity to me. I put my wife on a gluten free diet. She had one more loose stool. No more diarrhea. She had also developed Lupus dermatitis ( on the 190 list), and in 5 months, her rash was gone and her serum antibodies to Lupus were “too low to titer”. Asthma is both symptom AND it’s a diagnosis. It sits in that that weird place that other diseases, disorders, and conditions like IBS, depression, and chronic pain occupy. Food sensitivities are only ONE of MANY causes for asthma. I’ve been diagnosed with chronic asthma since I was 4 years old and it’s both activity-induced and allergy-induced. So, while I wish that it was as simple as getting rid of gluten (and I’m REALLY glad that cutting gluten out worked for your wife! ), there’s also other factors involved. 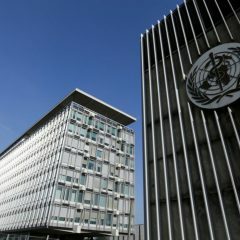 There’s a monumental increase in asthma when you compare vaginal births to cesarean section births. Those of us who needed medical intervention (and ho boy, was I a big baby for a 5-foot mother), didn’t get the “pollution” necessary for our immune systems to really take off running. There’s many, many reasons why there’s asthma. I’m just happy that cannabis works for me to open up my lungs. Norman, please do not spread misinformation about gluten. Your wife has celiac disease -allergy/autoimmune reaction to gluten- and so quite correctly was treated by having a gluten free diet. However, for someone who doesn’t have celiac disease, excluding gluten from their diet is both unnecessary and pointless. Gluten exists naturally in so many foods that humans have been eating for thousands of years. it might be a little more complicated. Grains, such as especially wheat are being sprayed with glycophosphates (roundup herbicide) as a preharvest dessicant., so to some degree, some people may find that switching to organic can be very helpful. then there are other gut problems which can affect the body systems. glycophosphate isn’t the only thing to be showing up everywhere when it shouldn’t be anywhere. Re the products containing grains and “products’ was the grain storage facilitated by fungicides? did gmo corn produce “natural” insecticide toxins, “products” from which are in most everything processed not organic, that harm the guts of humans too? Just a little gluten sensitivity complicated by the crappy air moments that drift through…..it’s probably really all about suffering through trying to evolve through something that was originally called “better living through chemistry” Yay for science, but it could be more thoughtful and open to thinking beyond the immediate commercial applications. To those researching this, my daughter has asthma and she told me a while back that it was a gut health issue not a lung issue and I did think WTF. However she switched to a healthy gluten free diet, cooking/preparing her own healthy meals and her body came good. I know its N=1, but worth the try. I do need some help with my asthma. I take a corticosteroid three times a day. I also have to take a nebulizer treatment four times a day. I use a rescue inhaler to get through the night on occasion. I have no interest whatsoever in getting high. I just want to breathe. I think from what I have read that CBD is the best for medical needs. I would really like to not have to take so many treatments. I feel like I am a prisoner in my home. method. We went to a practitioner and learned how to do this in five day for only $300 ten years ago. They have dvds and youtube today. Thank you Jennifer. I will look this up on youtube. My husband suffers terribly with Idiopathic Anaphalaxis, meaning, unknown cause for life threatening severe allergic reactions, would this help him? I have asthma too, one thing I can say for sure is that a joint doesn’t cause asthma crisis as a regular cigarette does. Another “off-schedule” use for pot. I have a bone spur protruding into my left Achilles tendon. Went to Dr. for surgical solution, since it was so painful. Recovery would be worse than problem. Now I rub a salve made from MJ roots twice a day and usually don’t even notice my problem anymore. This shet works- -for a variety of uses! Couldn’t keep myself from sharing my experience. 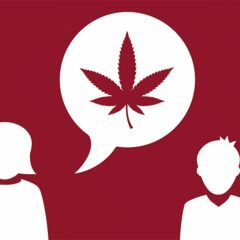 This post is so interesting & indeed helpful, I am feeling more confident about smoking pot. Well I am suffering from asthma since 15 years & you won’t believe I was hating my life over this unwanted disease. I never even smoked a cigarette till 23 and one day all of a sudden my friend exposed me to this thing, Ganja (Marijuana). Tell you what, after smoking for few months I started observing that my breathing was getting smoother than ever and I did not had to wake up all night due to short of breath. Currently, I am 26 and I smoke 1-2 times a week. Anyways, despite of its medical applications I am not advising anyone to smoke pot/cigarette. Consult a doctor or your family for any medical issue. Stay safe, enjoy life. I have Chronic Asthma, have had it diagnosed since I was 4 years old, and am on a rescue and corticosteroid. When I had a two-day migraine February 2017, I was at the end of my rope, needed relief, since Excedrin stopped working for me. Everything hurt. And a friend came over and let me try some Blue Dream. I coughed for two minutes, because being asthmatic, I’ve never smoked a damn thing in my life. But after that point, I could actually BREATHE. I felt such relief like I couldn’t get with both inhalers. No shakes, no heightened anxiety, no depressive low when the steroid wore off. The stress headache with the migraine melted away within fifteen minutes, and the migraine started to ease within an hour. Anxiety found a couch in a corner and sat itself down and out of the way, which is the exact opposite of what happens when I’m using my inhalers. Since then, since I’m in a state with legal medical (and now recreational!) cannabis, I’ve come off of my anxiety/depression meds and have lowered my use of inhalers to when I absolutely needed them and couldn’t smoke in public, or was travelling out of state and couldn’t take my cannabis with me because federal laws. had asthma since a child, my granfather used to blow smoke in my face always made me feel better, he smoked homegrown weed and was a farmer from Galway, so he was’nt buying skunk. These days I like to nibble on a small bud if I am wheezy, clears it straight away. Still use the inhalers but mostly out of habit i think. Can I use the root of the herb to draw and drink And get the same benefits? I STRONGLY disagree. Since I started cannabis I’ve developed even worse inflammation symptoms. I’ve had asthma since I was born and I’ve died from it twice (barely brought back to life from what I was told later on in life) and many near death experiences in my adolescent. Cannabis has made things worse by creating an inflammation disease known as leukocytoclastic vasculitis (just red inflamed blood vessels on skin only, very lucky it didn’t turn into something worse). Since I’ve stopped using all forms of cannabis (vaping, smoking, edibles, ect) I’ve been healing and no longer have symptoms of vasculitis or asthma. I was actually in excellent respiratory health before I tried smoking cannabis ages (12-22). I’m very healthy and active now at age 24. I eat very well and that has been the ONLY cure for those diseases. Check into anti inflammation diets. Caution ALL drugs especially ones that go into your lungs ESPECIALLY IF YOU HAVE A LUNG DISEASE SUCH AS ASTHMA as it could even create more inflammation issues as it did in my medical history. Don’t smoke or put agents in your lungs if you have asthma. When I did NOT vape/smoke weed I hadn’t had ANY lung issues and I would run miles without a lung ache. After though and as I tried different forms of weed (vape pens and such were actually the worst and strongest (don’t let cannabis oil build up in your lungs) (ages 22-23), I would have respiratory issues those that reminded me of the terrible weak days of my childhood. Breathe clean air. Move to an environment that has good air quality. Eat whole and complete foods. Learn from your body and how sensitive it is. Don’t listen to whimsical information online, LISTEN and analyze yourself. Health is relative! That’s why they’re always learning more in these fields. Also breathing exercises will increase your lungs compacity. Only use cannabis if is truly helping you, if then good for you. But I’m informing that it is NOT for everyone. My medical diagnoses and experiences is proof of such. Live well. The reason that marijuana is illegal is because the pharmaceutical industry cannot make a profit on something that can be cultivated at home. 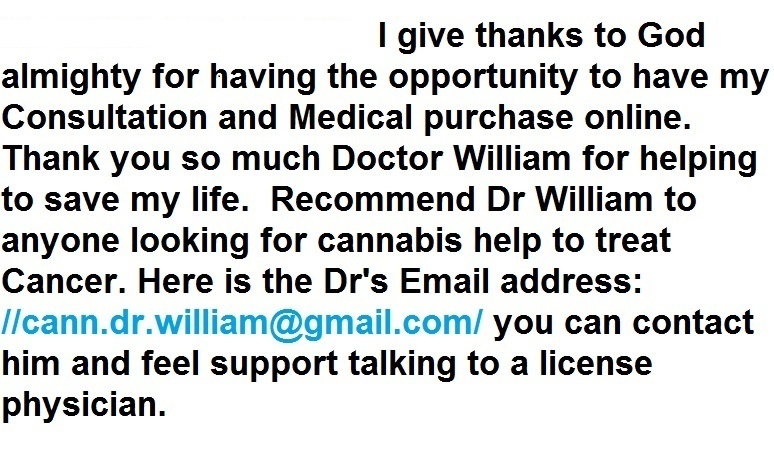 Anyone who is able to do research can locate testimonial literature from patients who suffer from many ailments illustrating that cannabis has helped when F.D.A. approved medications have failed to treat as well as medicating with marijuana. Yes, marijuana is a schedule I narcotic that has no medicinal benefits and this natural herb is a gateway drug to hell that will fuel crime, corrupt communities, families and should be banished from all public access so that more people will flock to their neighborhood pharmacies and beg for more punishment that will never cure and will hardly treat anything but will line the pockets of the plutocracy with the suffering of the masses on their way to certain death. I’ve also found relief from asthma–while the THC is still strong in my system. Once it wears off, the asthma returns even worse than it was. I was born with chronic asthma and battled my whole childhood. every fall and spring I was in the hospital. in my later years was introduced to marijuana. now 44 I barely have to see a doctor regarding asthma flare ups. maybe once every 5 years i get hit but its usually do to me running myself down. firm believer it helps. Quality of life is much better because I can run with my kids, played sports through high school and some in college. Scientifically proven or not, I know it help my ability to control asthma naturally. and yes, I still have an inhaler. But used much less often than many moons ago. Thought I’d try Medical Marijuana about a year ago; sounded safe. Just got diagnosed with stage 1 COPD and Asthma today. If you value your lungs don’t chance inhaling weed in any form. (no mater what they say) it’s not worth it.